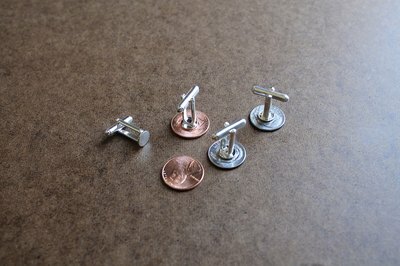 Cufflinks add a special finishing touch to any dress shirt and can be customized in a variety of ways. They are easy to make, and are an excellent gift for anyone on your list. 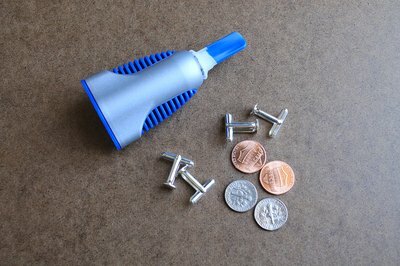 Try making a pair using those leftover coins from travels around the world, or simply empty your piggy bank! Place a drop of super glue on the blank end of the cuff link. Choose which side of the coin will be facing out. 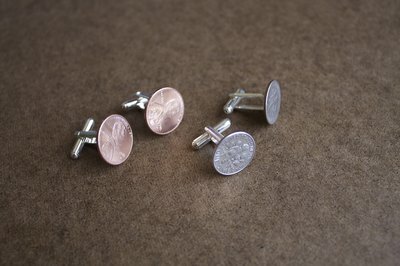 Place the back of the coin onto the blank cuff link and align the design with the link. 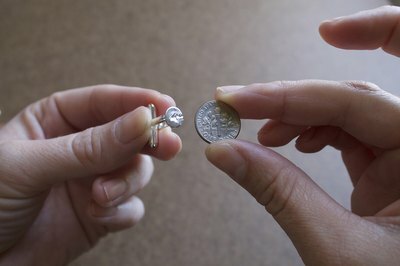 Place the cuff link face down on a flat surface and allow the glue to dry thoroughly before wearing.